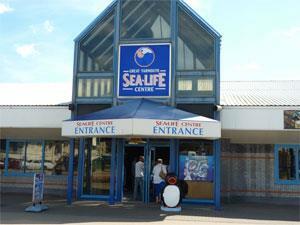 Great Yarmouth Sea Life Centre01493 330631work AquariumDive into the underwater world of SEA LIFE Great Yarmouth and be wowed by the many strange, beautiful and fascinating creatures of the deep. Prepare for astonishing close views of everything from humble starfish to tropical sharks, all in displays which carefully recreate their natural habitats. Become a rockpool explorer and touch a crab and a starfish as you discover the wildlife of the rocky coastline in our native and tropical rockpools. Watch our fun talks and feeding demonstrations throughout the day and test your creature knowledge by taking part in our free kids quiz trail. At every step there are amazing creatures to find, to watch and learn about. 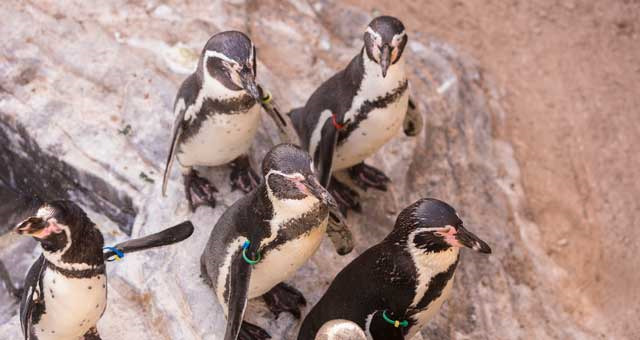 Learn the truth about the much-misunderstood shark; the plight of the endangered sea turtle, the remarkable lives of seahorses, see our West African Dwarf Crocodile sisters, and our comical and endearing Humbolt penguins. The marine world is beautiful, find out what SEA LIFE is doing to protect it and how you can help. At the end of your tour browse in our extensive gift shop and visit our restaurant with it's great 'Kids Eat Free' meal deal offer and then let the children play in the Pirate Ship soft play area. Your ticket is valid for the whole of the opening period of the day of your visit, giving you the perfect opportunity to attend as many of the daily talks and feeds as you like. Dive into the underwater world of SEA LIFE Great Yarmouth and be wowed by the many strange, beautiful and fascinating creatures of the deep. Prepare for astonishing close views of everything from humble starfish to tropical sharks, all in displays which carefully recreate their natural habitats. Closing times vary according to season, please contact directly for exact times. Open all year round (except Christmas Day and Boxing Day).